Reports indicate that former U.S. president Barack Obama urged the chief executive officer of Facebook, Mark Zuckerberg, to take the threat posed by political disinformation and fake news then prevalent on the social media platform more seriously. This came after the youthful billionaire had brushed off as ‘crazy’ the notion that fake news had played a major role in the presidential elections that had just been concluded in the United States. The meeting between Obama and Zuckerberg took place during a gathering of global leaders in Peru about two months before Trump took the reign. In the meeting between the two Obama is said to have warned that unless the government and Facebook cooperated in addressing the threat posed by information warfare, the problem would get worse during the next election cycle. But while the Facebook CEO acknowledged there was a problem, he denied that it was widespread and also pointed out that there was not an easy solution in sight. In the months prior to the election the former U.S. president and members of his administration had agonized on what the appropriate response would be to the brazen intervention by Russia in the election with a view to discrediting then-presidential candidate Hillary Clinton and helping Donald Trump. Facebook had also been caught offguard by the fake news phenomena as well as with the political pressure that ensued. This forced the social media giant to make hard choices which were meant to act as safeguards while allowing free discourse on the platform for users across the globe. 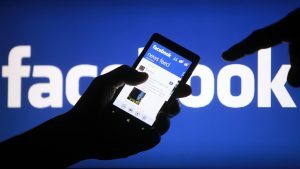 Consequently Facebook has since then admitted that there was a high level of disinformation during the election and the social media firm would be turning over politically themed ads numbering more than 3,000 and which were purchased by fake accounts believed to have been operating from Russia. Some critics are of the view that Facebook was slow to act and is only responding now due to the political pressure being applied. “There’s been a systematic failure of responsibility [by Facebook]. It’s rooted in their overconfidence that they know best, their naivete about how the world works, their extensive effort to avoid oversight…” said University of North Carolina’s associate professor, Zeynep Tufekci, who studies the impact of social media firms on governments and society. The political pressure that is piling on Facebook comes at a time when the social media giant is facing other sticky issues such as accusations that it is censoring political speech as well as live video suicides.